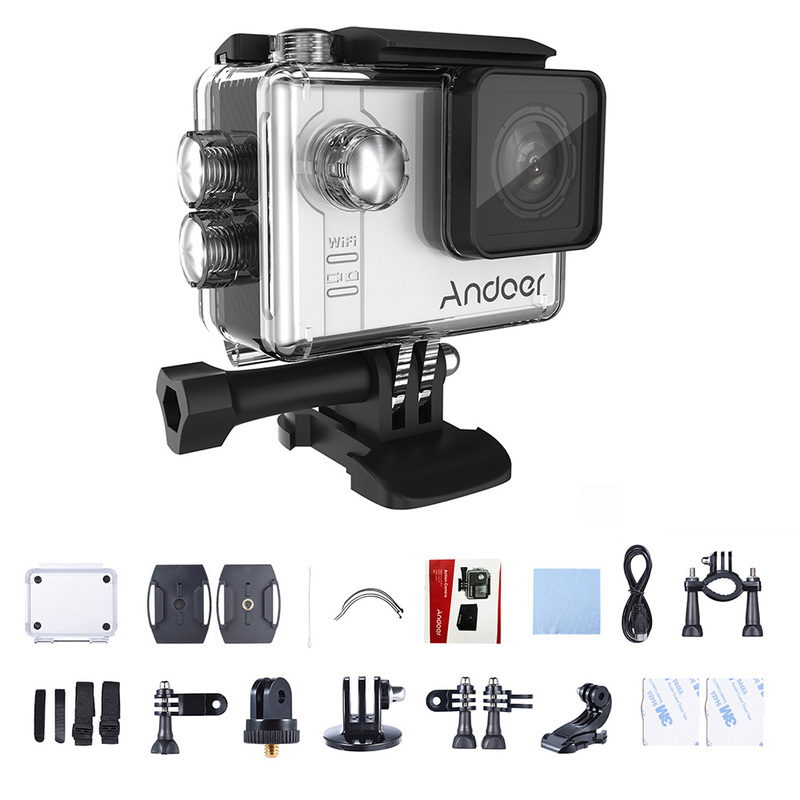 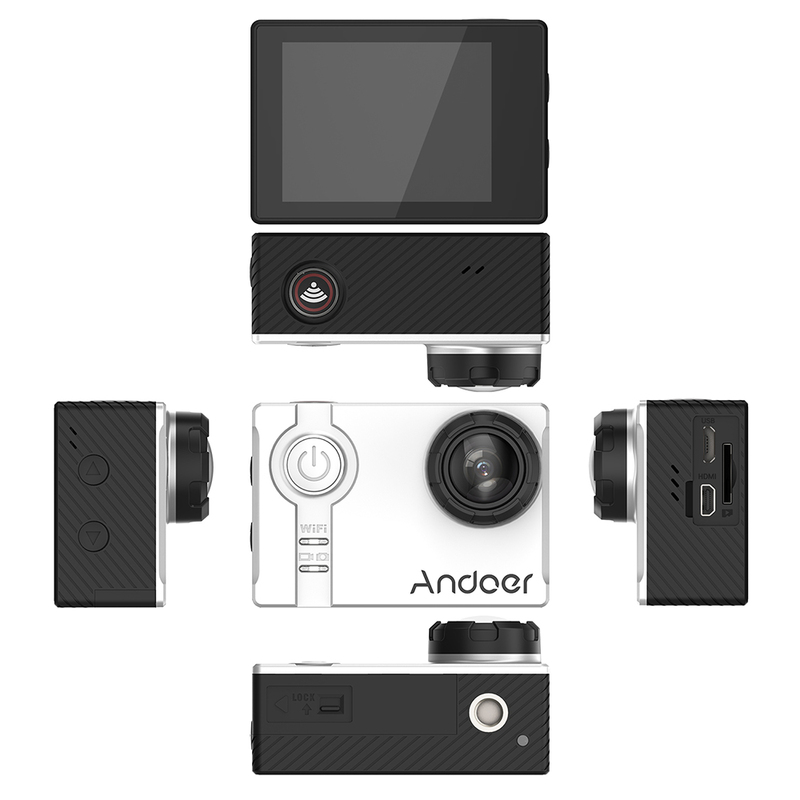 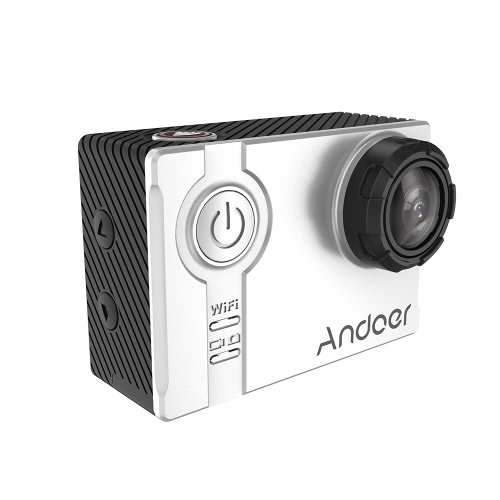 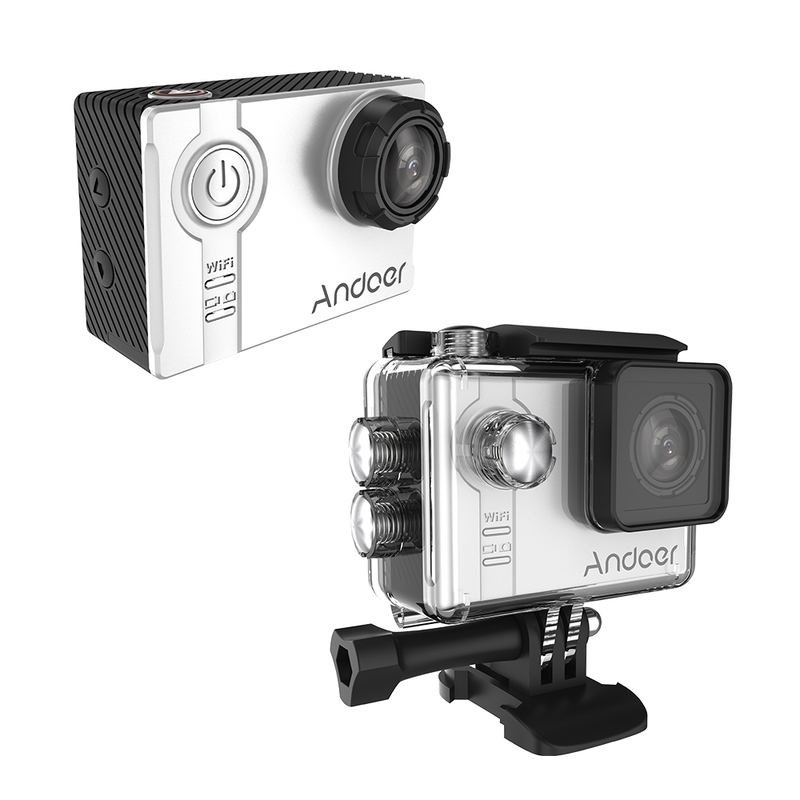 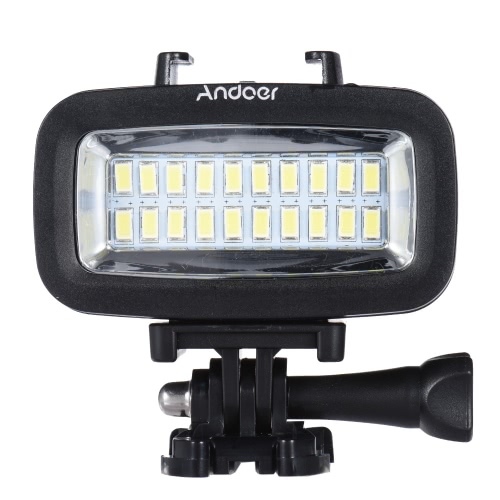 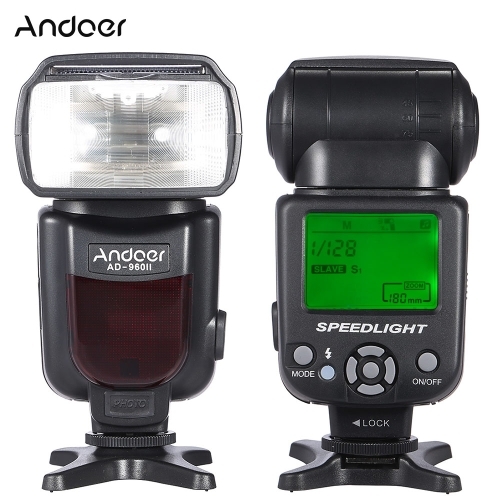 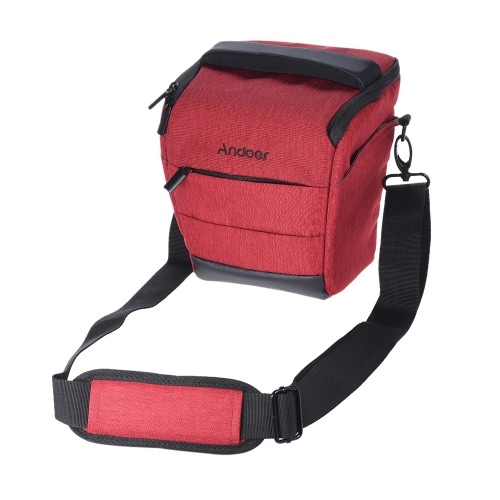 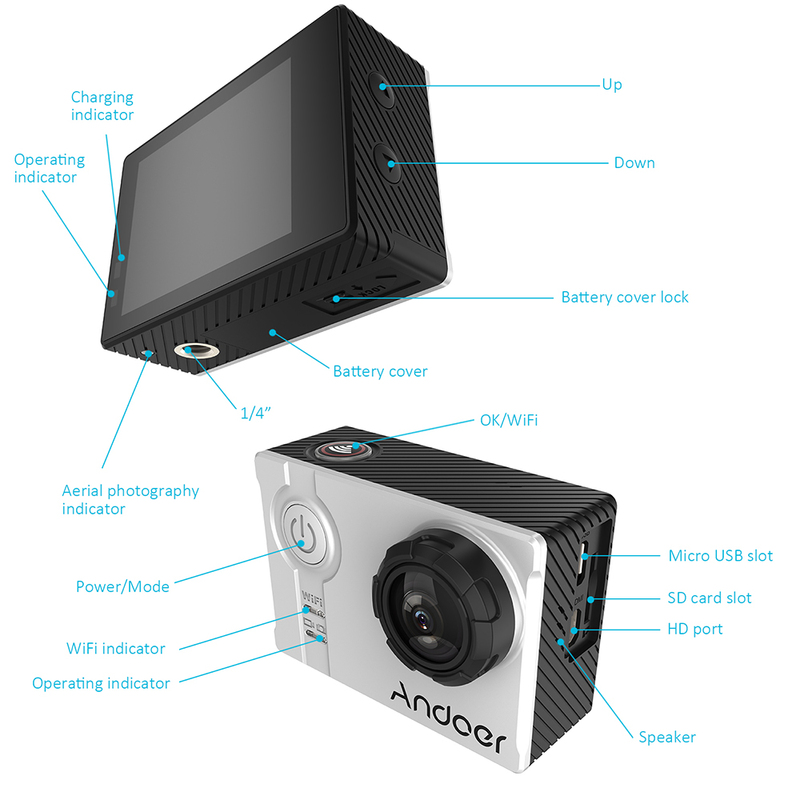 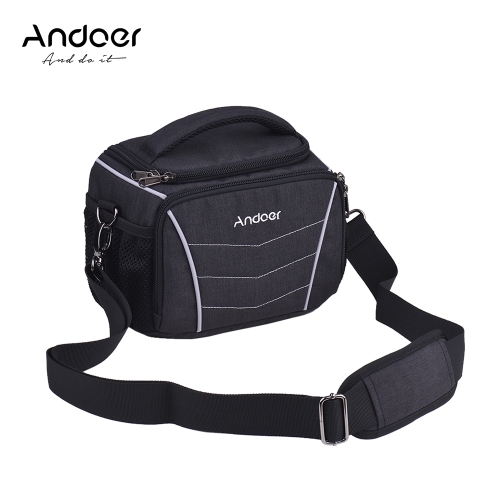 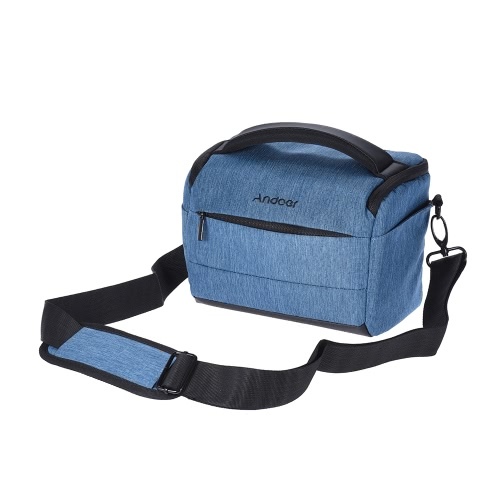 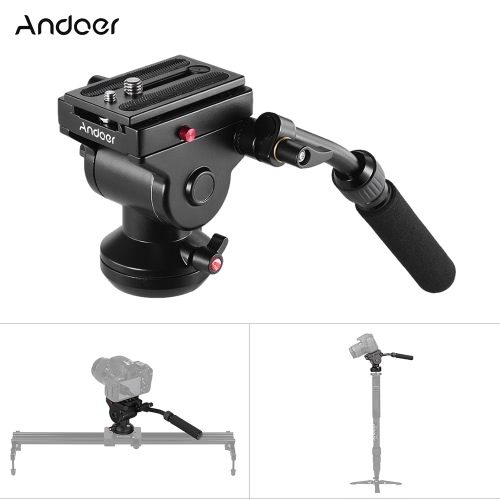 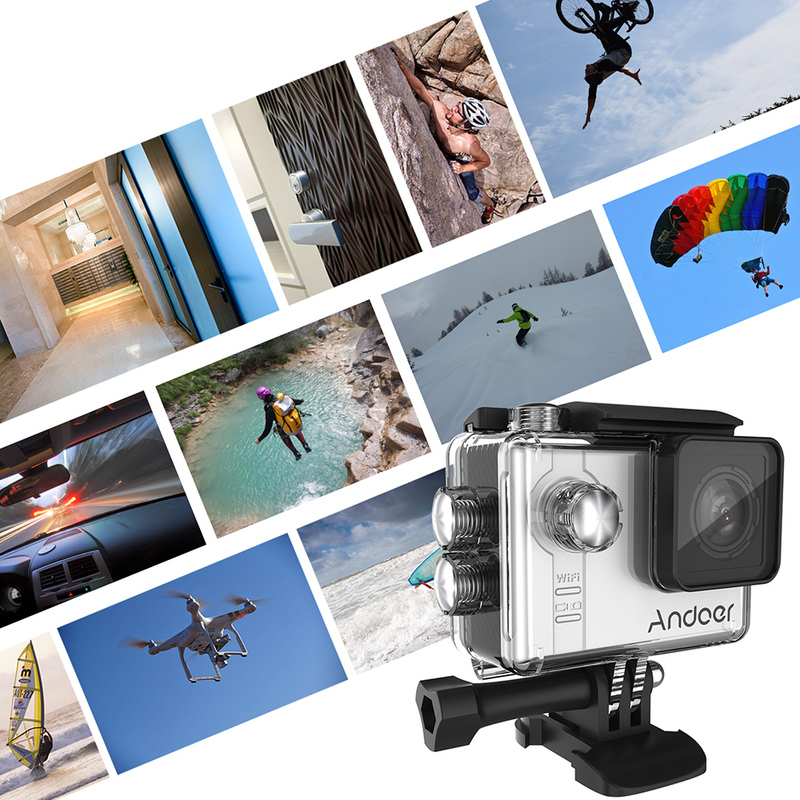 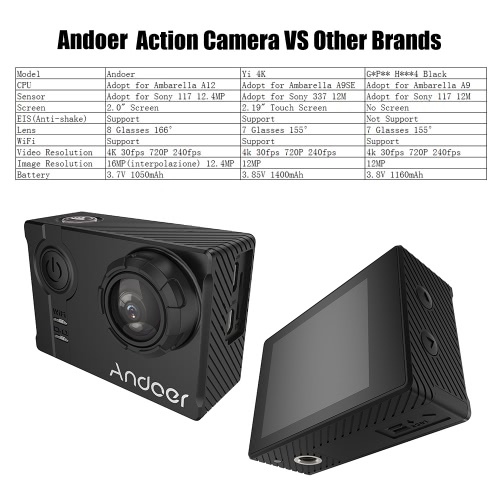 Andoer AN7000 4K action camera adopts advanced technology, Ambarella A12A75 CPU, 16MP CMOS sensor and 8 glasses 166°wide-angle lens, all these together help you to create full HD & smooth shooting! 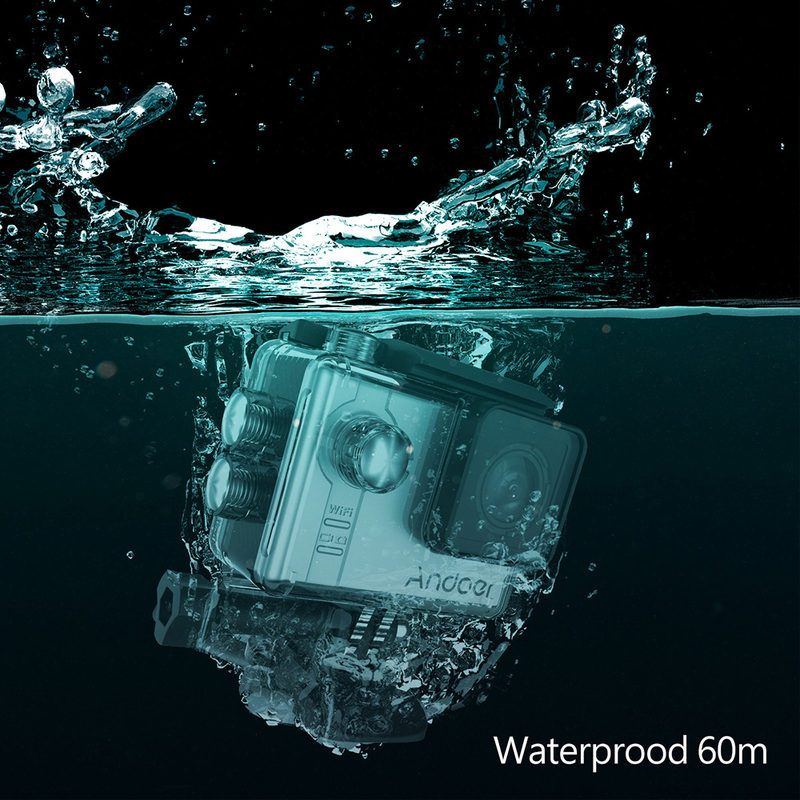 Waterproof 60m in waterproof case makes it great for recording excellent marine adventures. 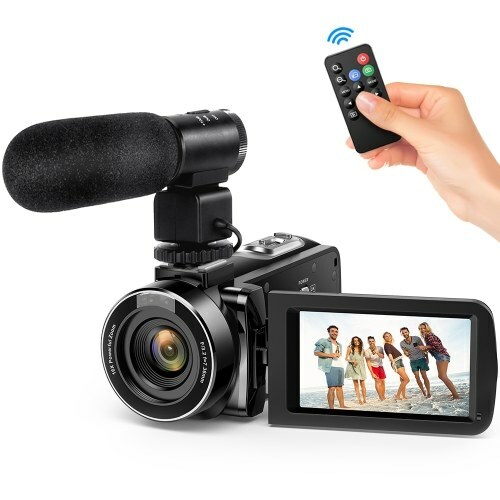 It also supports WiFi & bluetooth connection. 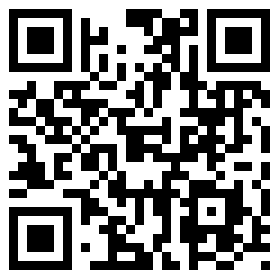 Let's have more fun with smartphone APP. 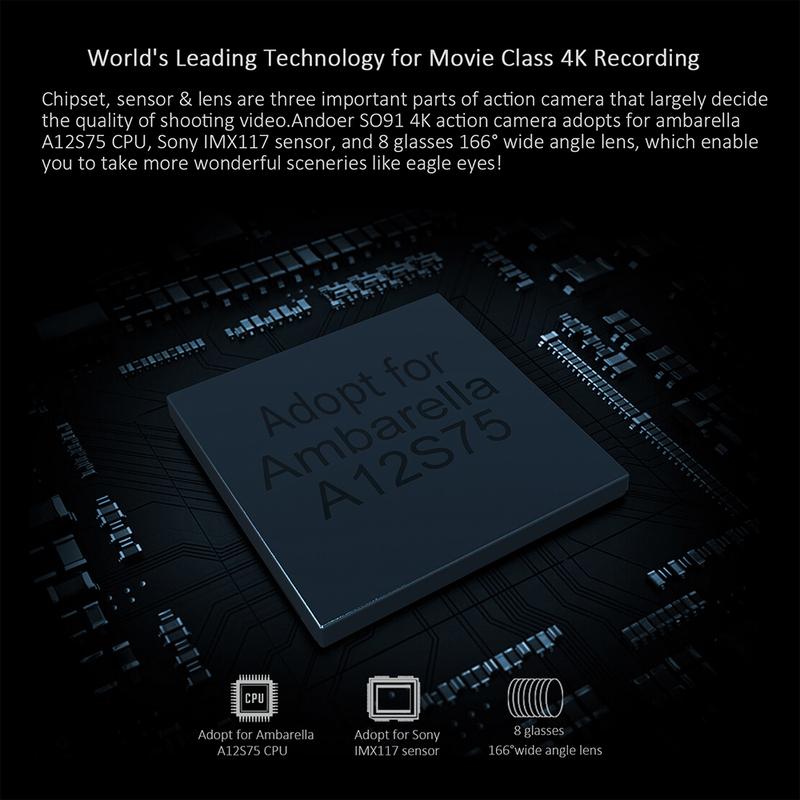 4K/30fps, 1080P/120fps, 720/240fps, multiple video recordings for super smooth & full HD dynamic shooting, with anti-shake & motion detection. 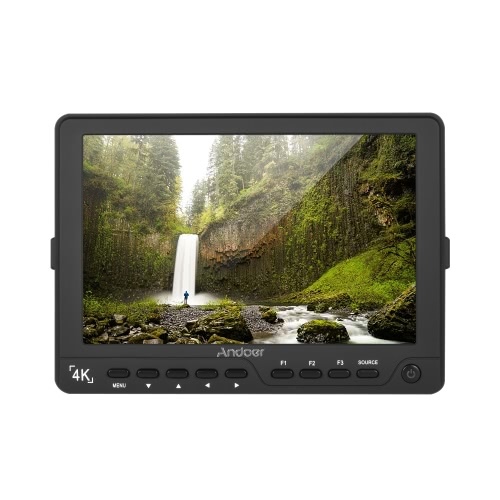 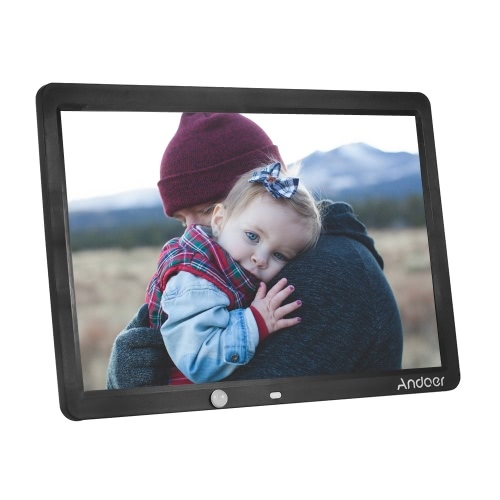 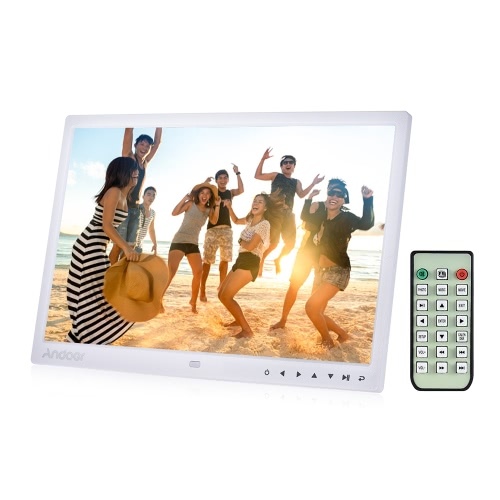 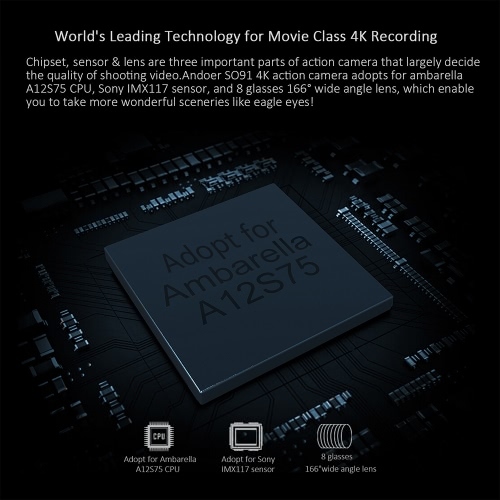 Adopt for Ambarella A12S75 chipset, Sony IMX117 CMOS sensor, the world's leading technology to ensure movie class 4K recording. 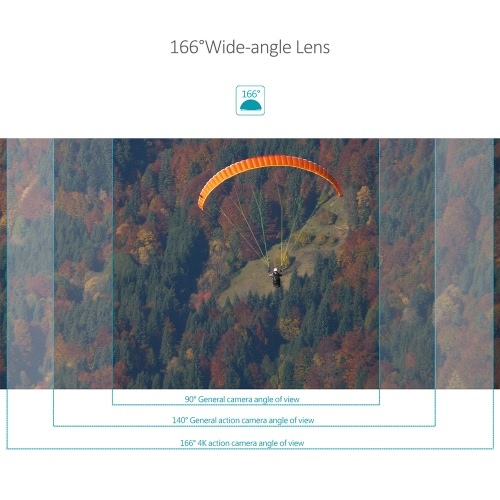 8 glasses 166°wide-angle lens, max. 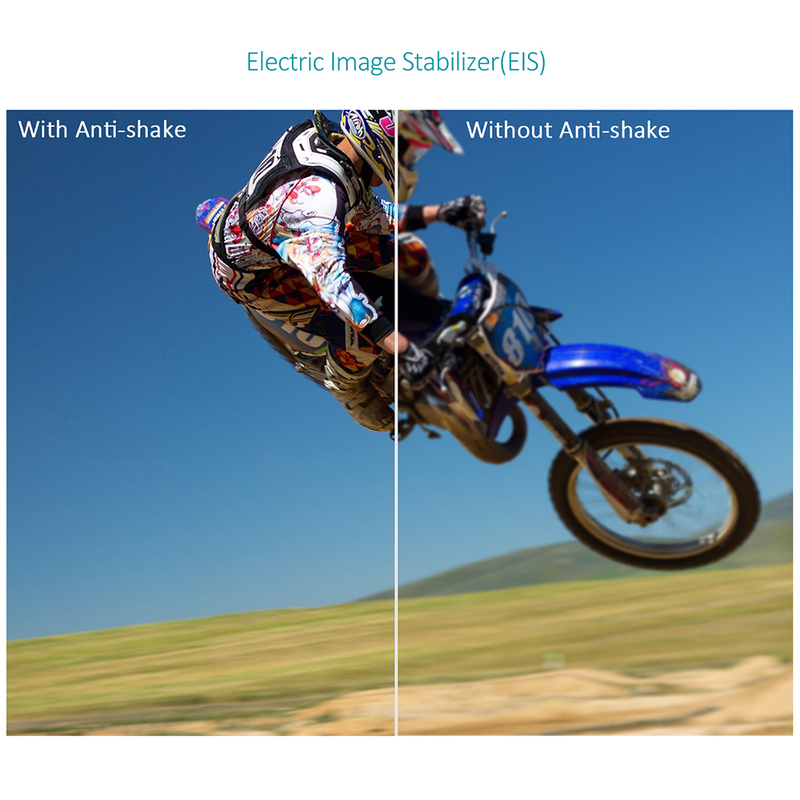 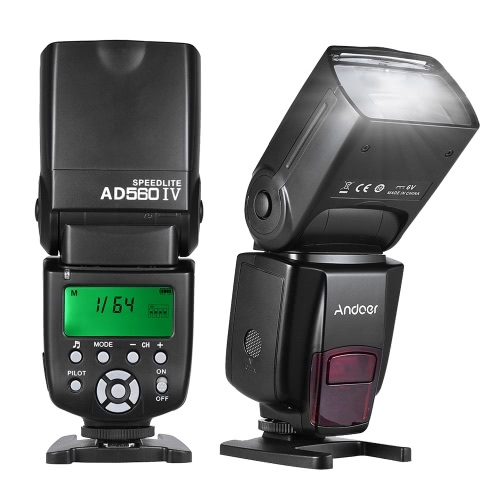 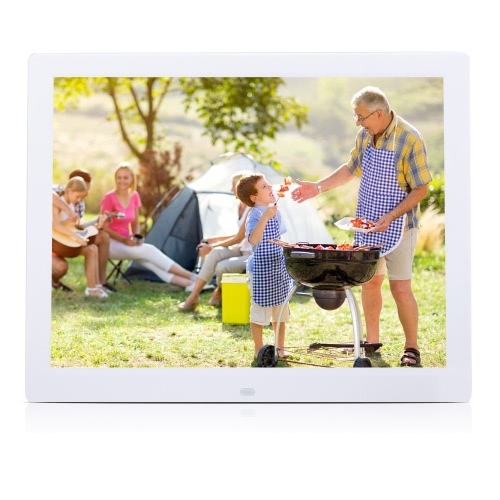 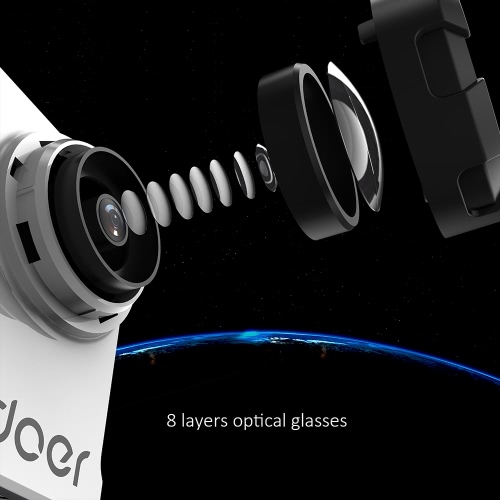 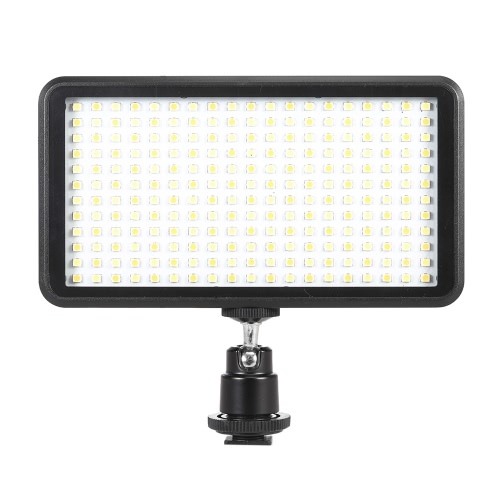 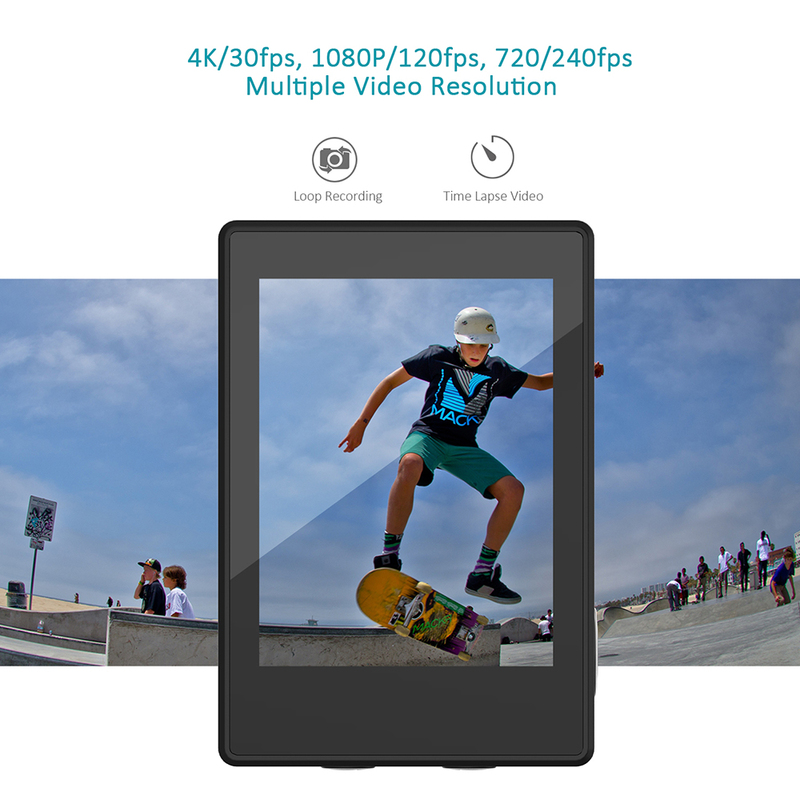 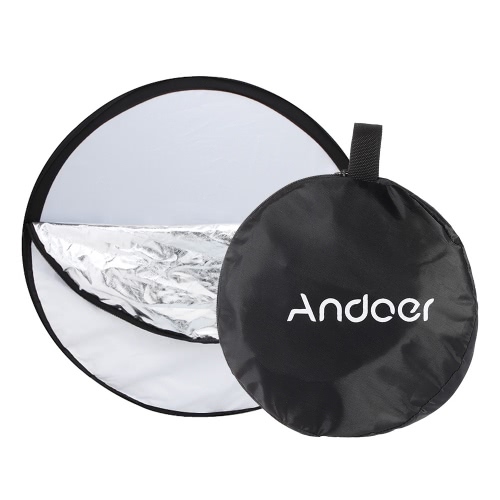 16MP image resolution, capture wider, brighter & vivider photos. 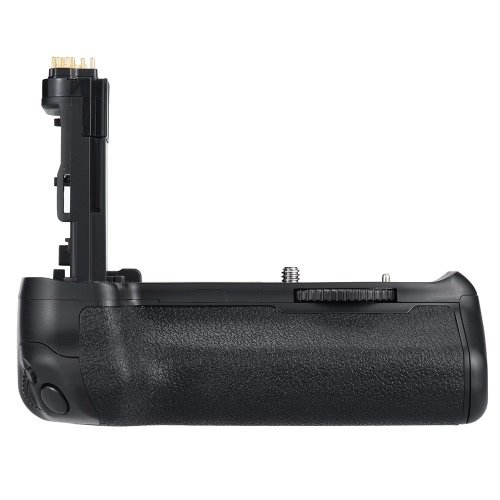 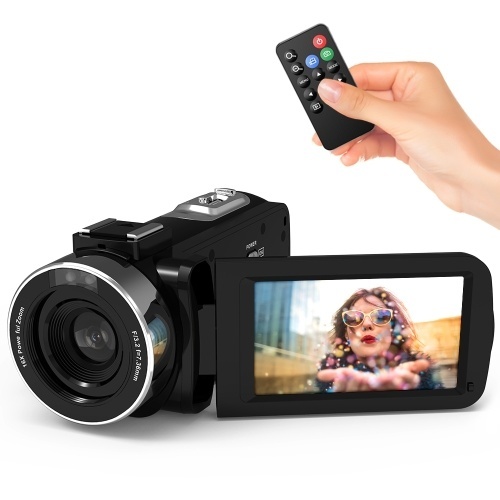 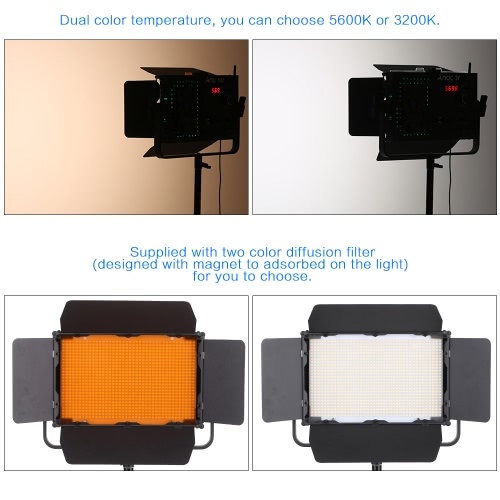 2.0" LCD screen, 960 * 240 resolution, clearly display shooting scene & support preview. 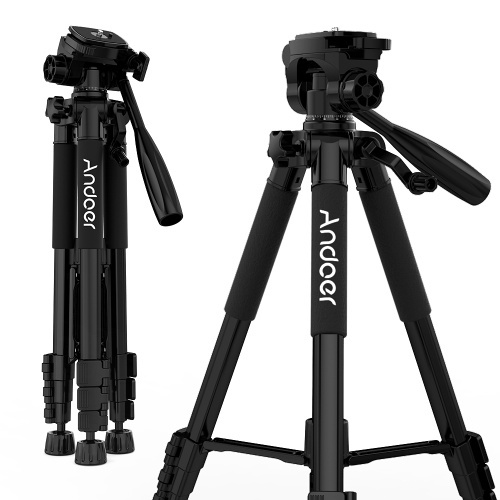 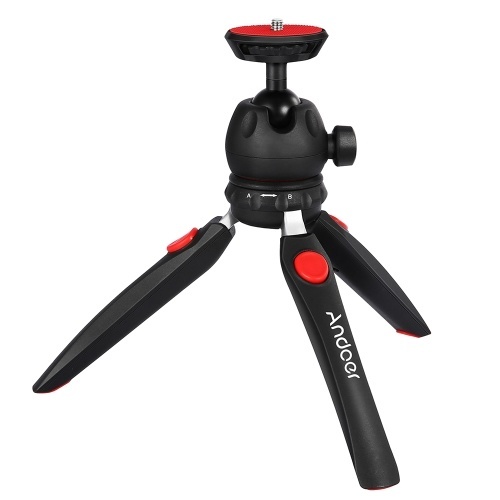 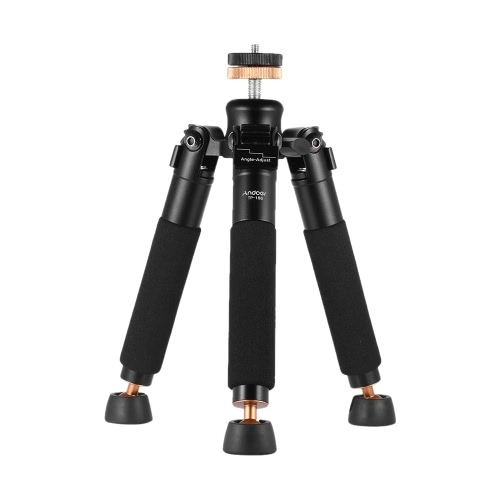 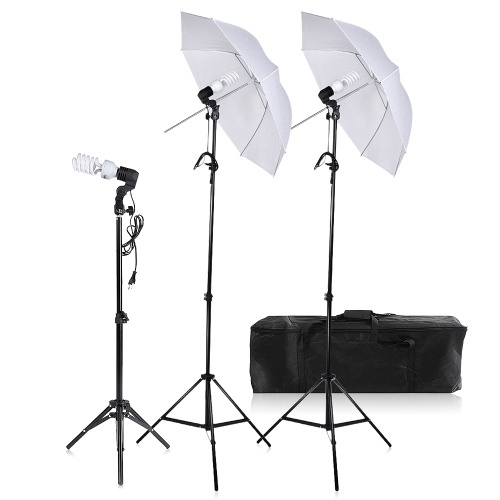 Support Burst Photo / Time Lapse Photo / Self Timer, and Time Lapse Video / Loop Recording / Car DVR & etc. 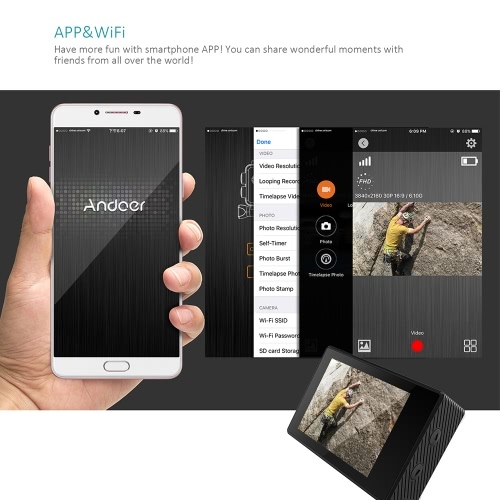 Support WiFi & Bluetooth Pairing for remote control and easy share, effective distance up to 12m. 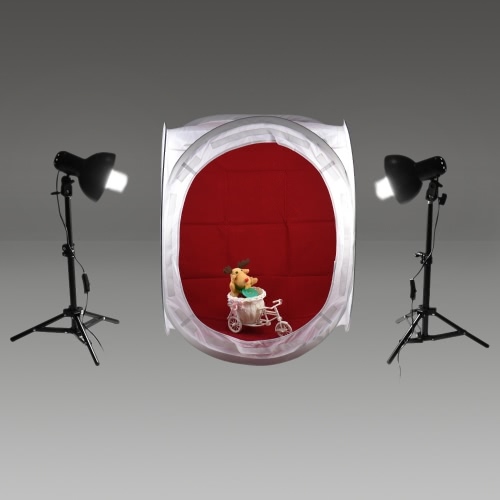 Multiple scene modes and effects help to create amazing & stylish images. Waterproof 60m with waterproof housing, ideal for recording marine adventures. 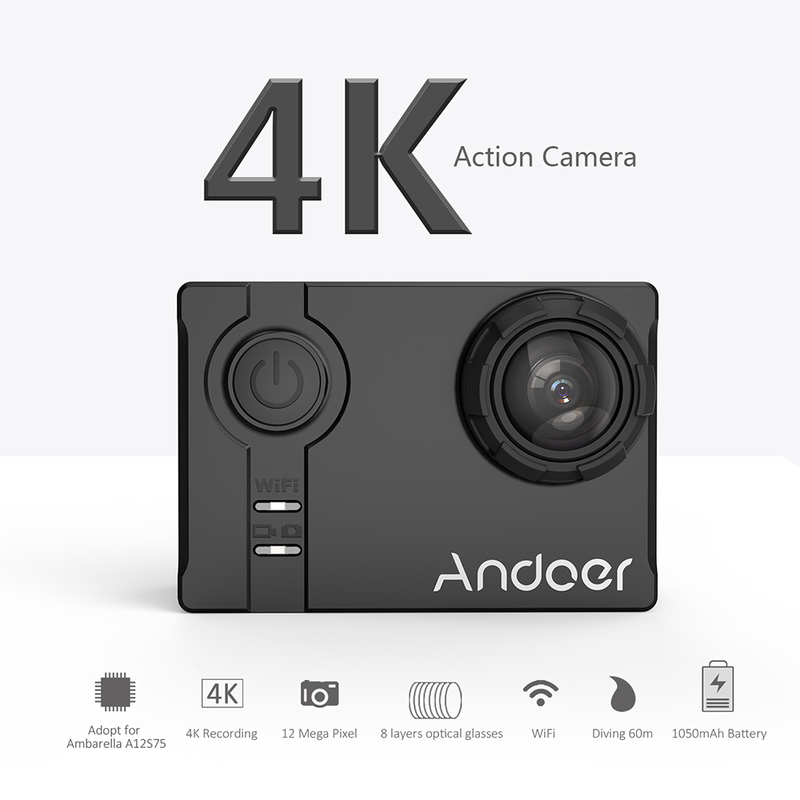 Powered by 1050mAh battery (support 90min 4K recording) & compatible with up to 64GB memory card, support long time recording. 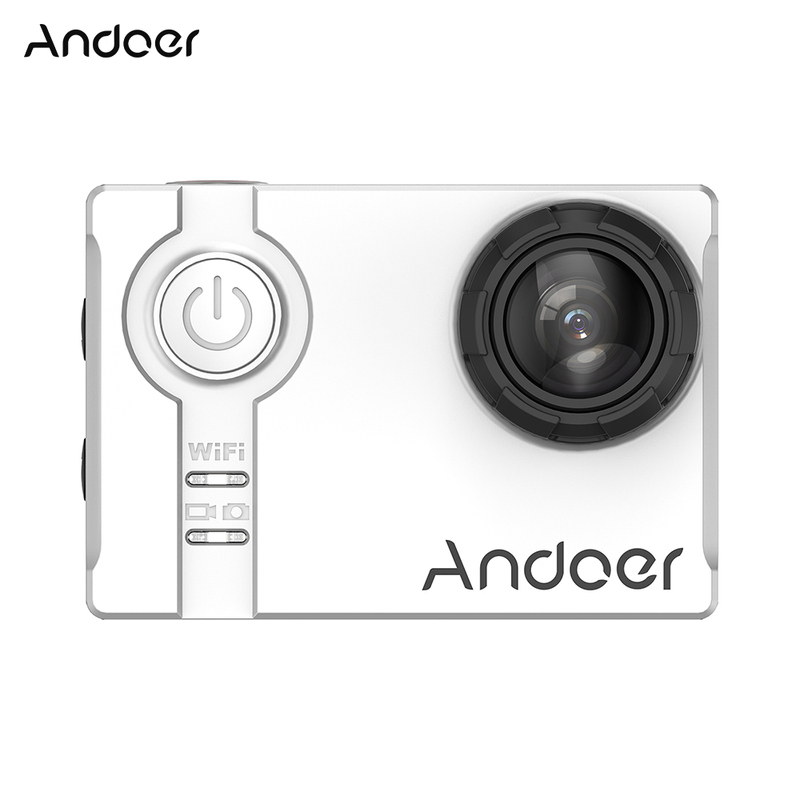 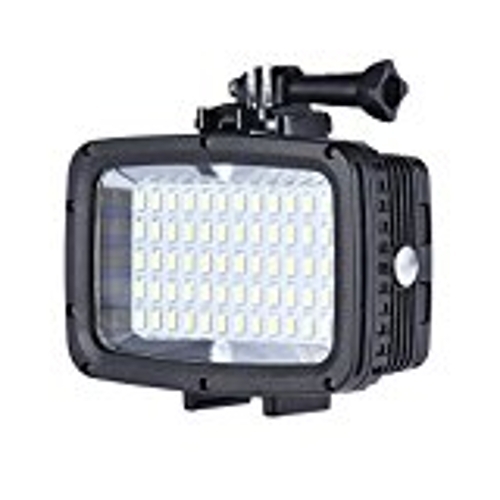 Ideal for shooting extreme sports activities, can also be home security, PC cam & Car DVR. 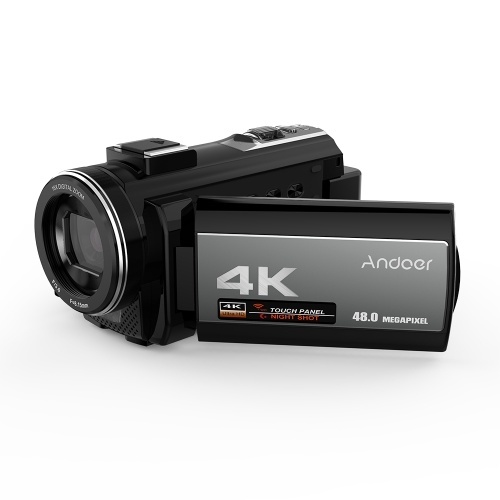 Memory card is not included and class 10 & above is highly recommended.